Inspired by The Snowman, Trunk Animation’s Christmas offering is an enigmatic animated short. Introduced by David Bowie (where did they get that footage? A Bing Crosby Christmas Special?) 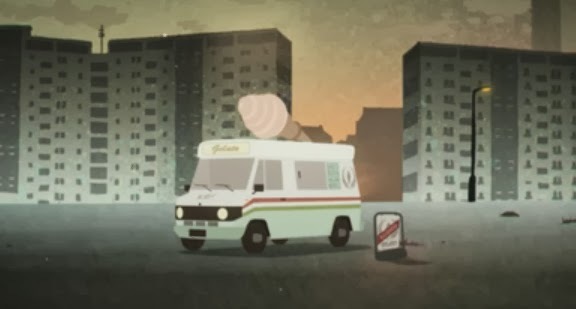 Gelato Go Home is a loving homage to the ice cream van in its communal quest for a little time away from it all. Altogether this left me slightly befuddled but nonetheless happy; so quite close to how I used to feel each Christmas during my childhood.